Sometimes it's hard to see the big picture when your raw data hasn’t been summarized. Your first instinct may be to create a PivotTable, but not everyone can look at numbers in a table and quickly see what's going on. PivotCharts are a great way to add data visualizations to your data. Select a cell in your table. Select Insert > PivotChart . Select PivotTable Tools > Analyze > PivotChart . To create a PivotChart on the Mac, you need to create a PivotTable first, and then insert a chart. Once that is done, the chart will behave like a PivotChart if you change the fields in the PivotTable Fields list. Create a PivotTable if you don't have one already. 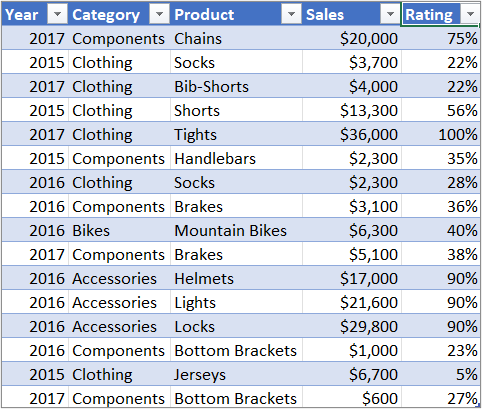 Select any cell within the PivotTable. 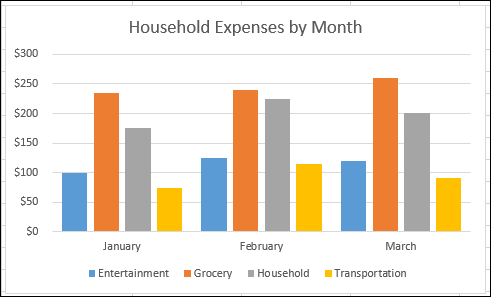 On the Insert tab, click a button to insert either a column, line, pie, or radar chart. Please note that other types of charts do not work with PivotTables at this time. For example, treemap charts, statistical charts, and combo charts do not work with PivotTables yet. After you insert a column, line, pie, or radar chart, you can pivot it by changing or moving fields using the PivotTable Fields list. You can also filter data in a PivotTable, and use slicers. When you do that, the chart will also be filtered.